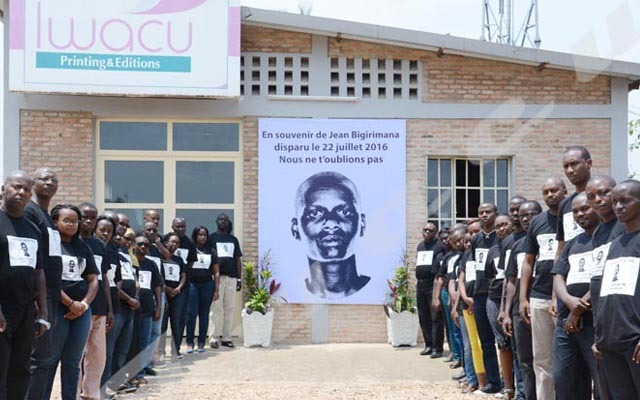 While the world celebrates the Handicap Day on every 9 October, Iwacu has visited “Saint Kizito” Institute which trains and treats disabled children in the capital Bujumbura. Created in 1965, Saint Kizito Institute is specialized in training and physical rehabilitation of disabled children. Out of 232 children attending school from the first to sixth grade at Saint Kizito, 175 are physically disabled. Able-bodied children study and go back home while the disabled ones stay in the boarding school. Anne Marie Mushiranzigo, a nun and headmistress of Saint-Kizito, says the two categories of children attend classes without any problem and help one another. Claude Kwizera, a one-legged child and without arms who studies in the fourth grade says he does not face any challenge in his daily activities. “I try to do my best. Otherwise, my friends who are normal help me in difficulties”, he says. Andy Nsengiyumva, an able-bodied pupil from the fourth grade also says they help their disabled classmates either push their tricycles or get to their beds. “We support them as we know that they are disabled,” he says. Anne Marie Mushiranzigo says Saint Kizito Institute has implemented the inclusive education since 1983. “Even our infrastructures are appropriate for disabled children,” she says. She, however, says the institute does not have the 4th cycle of Fundamental School. “There are no classes from the 7th grade to 9th grade”, she says adding that their pupils are sent to other schools especially “Lycée Notre Dame de la Sagesse” in Gitega Province. For her, extending the institute up to the 9th grade will reduce the number of disabled children who drop out due to inappropriate infrastructures. She also says the teaching staff, physiotherapists and orthopedists are not sufficient to train and treat those disabled children. “We only have five orthopedists in Burundi. Three of them are based in Saint Kizito. They are even not sufficient enough to care for all the patients they receive,” she says.